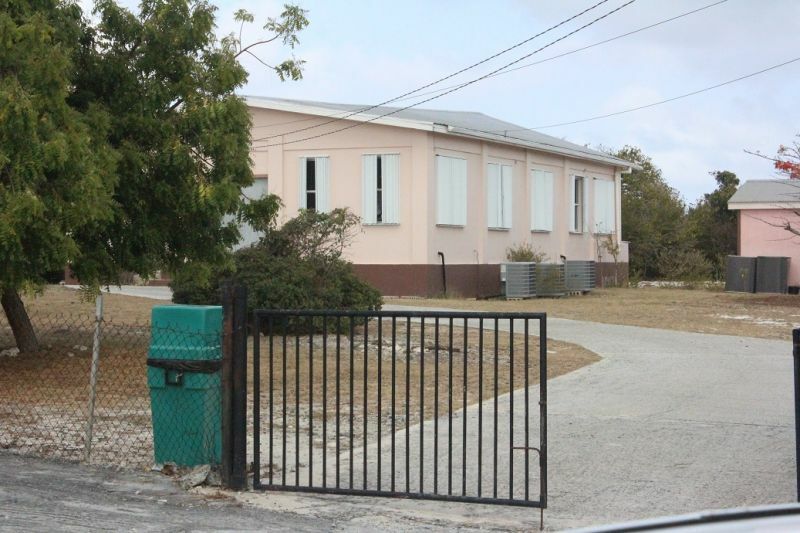 He was speaking at a community meeting organised by the Ready Committee and held at the Emile L. Dunlop Community Centre in Anegada on Sunday April 19, 2015. “There is no such thing as representative now under this administration because if you are not a member of their party, being a representative is like being a floor rag, they don’t acknowledge you….they pretend as if you don’t exist. They come into your district and do what they want to do…do nothing if they want to do nothing and that is the case. That is what you see here in Anegada. That is what happens also in the Third, Second and First Districts,” said Hon Fraser. “Under a Virgin Islands Party administration there will be no such thing,” he said. Hon Fraser pointed out that during his tenure as Minister for Communications and Works he had in place a system where all District Representatives signed Bills of Quantities for projects. “That was my requirement. Because I made sure when it came to district representation it is the people who elected their representative and he is accountable to them. Let him decide what he wants to do with his district. I am just trying to show you what it means when you have a democracy at work,” he said. Hon Fraser promised the people of Anegada that he would pay attention to the island and the needs of the people there if the Virgin Islands Party is voted in at the upcoming elections. “What I am asking is for you the people of Anegada to hold me accountable if the VIP is successful in becoming the next government to make sure that your issues are addressed,” he said. He also said that one thing he knows is that one does not come to Anegada unless prepared to talk about the issue of land. The Virgin Islands Party Chairman said that while between 1999 and 2003 there were a significant number of titles given out to the people of Anegada, between 2003 and 2007 one could count the number of titles giving out on one hand, indicating that it was a modest number given out by the National Democratic Party Government. He said that some more titles were given out between 2007 and 2011 and now again there is a situation where titles are not being given out since 2011 with the election of the NDP. 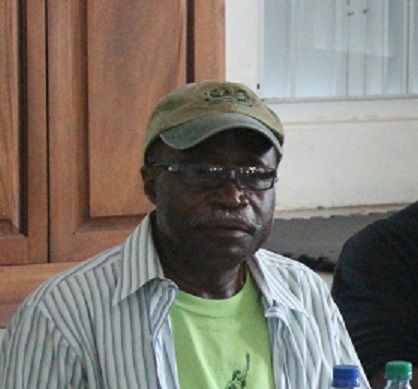 “Anegada is unique and it is up to the people of Anegada to decide whether they want to keep it the way it is or they want to move it in a different direction and that is an opportunity that I am prepared to offer the people of Anegada,” he said. Hon Fraser said he feels so strongly for the Ninth District, saying that there is no way that the Ninth District could expect to be successful without strong representation when considering it is one of nine districts. “When you look at the needs of the Ninth District compared to the other districts, it is night and day. So you need a strong representative in this district. It cannot be any wishy washy person you’re going to send to the House of Assembly and expect to have a successful district,” he said. 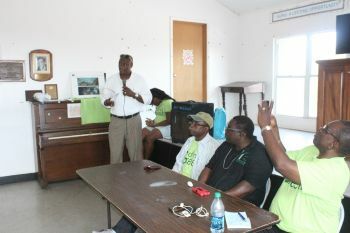 On Sunday, the VIP’s pick for a candidate for the Ninth District, Elton L. Sprauve, was introduced to the people of Anegada. Do you remember when it was Dr Pickering and Dr Smith on the opposite side? The VIP did the same thing to them. You guys took advantage of those two men... The tables have turned now and you don't like it. Stop the noise FRAZER!! I find the NDP to be a very disrespectful bunch overall. It is their way or be destroyed by them if you oppose. MR FRASER you are right they treat everyone who are not with them like dirt even some working catching hell on their job its a shame the way NDP treat people I guess only them is human and the rest of us are animal if the people put them back in that will be the end of us. We need face to face debates of District and Territorial Candidates on the issues. If we do that VIP dead! What will they say? Crony, small man, corruption, must go, 40years, lavity. If your remove those words from VIP's vocabulary they will be a mute. lol ZERO IDEAS, ZERO SOLUTIONS. Another reason why ndp must go!!!! He forget when they were 11-2 how they treat Doc them? Take your licks and get used to it because if you scrape pass OJ in the 3rd you will be right there in the opposition again. Stop the woe-is-me strategy. Even in opposition there are changes that can be made. Create a movement. The BVI needs more than just a basketball league. Complaining won't cut it. Real problems require real leaders and real solutions. Fahie, Fraser, Zoe, Juggy, Maynard, Walters & All out along with the 4 at-large candidates. Fraser old boy you have to hurry up. Their manifesto is already with the press. July is not too far away. The National Democratic Party will be granting 52 persons from Virgin Gorda particularly from the North Sound area plots of land from next week. LOL. Check BVI News for further information. Folks take whatever they give you and vote them out. Election gimmicks on steroids well sah. What a thing to tell the king!